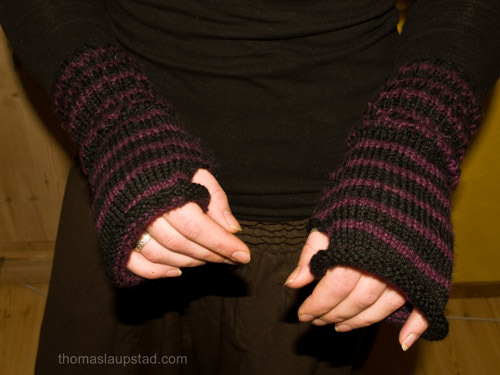 My latest knitting project is some striped black and purple wrist warmers. It can often be cold in the winter and it is nice with some wrist warmers when you work on the computer or do crafting. 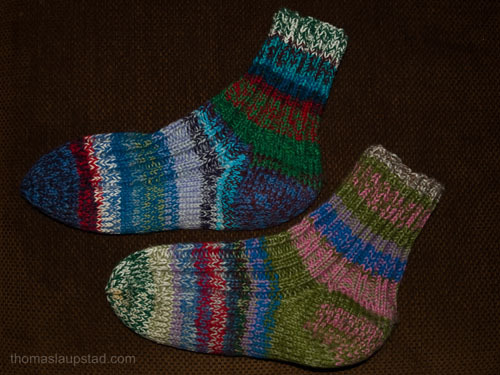 I finished a new pair of ragg socks knitted from leftover yarn. 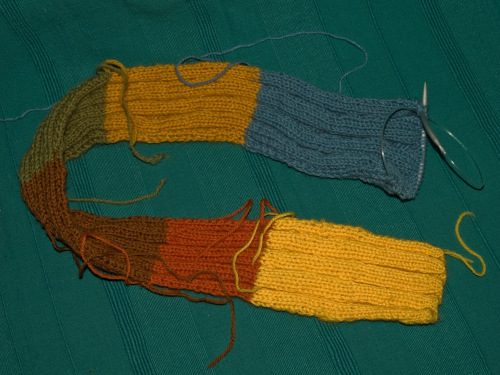 These multi colored ones I knitted for myself since it has been pretty cold here lately (temperatures down to -18 C). I use socks like these every day during the winter so it is nice to have many pairs. It was amazing how quick it is to knit a pair of baby socks compared to my usual socks for grownups. Here is another knitting project from my home. 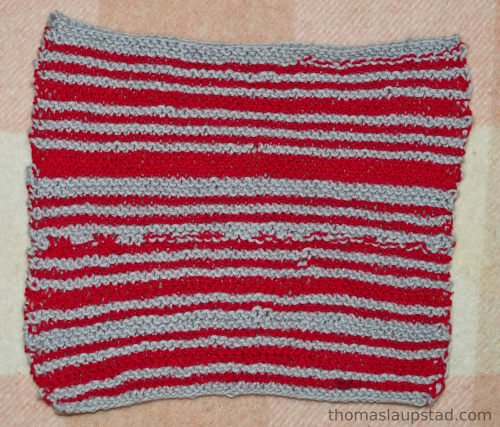 One of my friends knitted a striped red and grey wash cloth. It is nothing complicated, but is very practical and cheap. It also feels more special to use something you have made yourself. Think I have to knit a few of these myself. 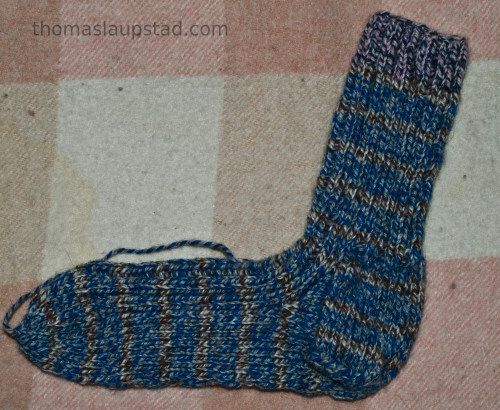 There is nothing special about this socks except that I’m knitting some stripes. The yarn I used is suited for sock knitting and is very strong. 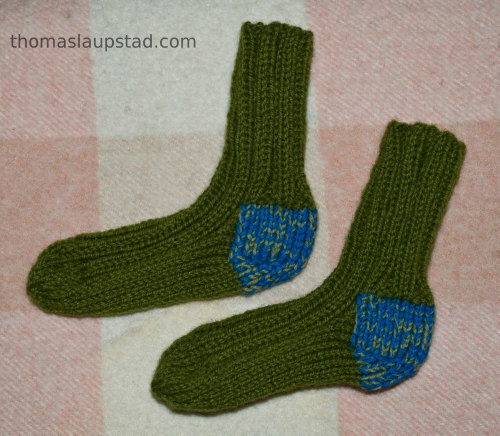 I wrote two days ago about that I finally finished some knitted ragg socks and today I finished another project. 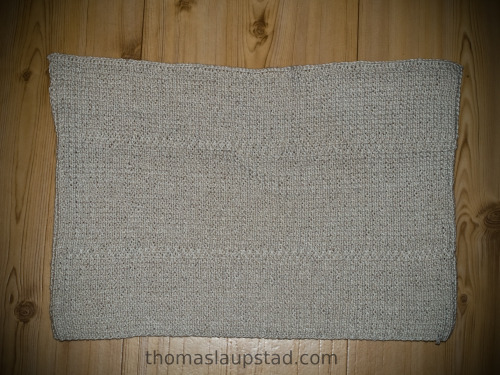 This time I’m done with a knitted hand towel that I started knitting on way back. It was pretty tedious to knit the towel so I had to take breaks from the knitting now and then. I actually planed it to be bigger, but this size is usable too. It might be hard to see in the picture, but I tried to make a pattern in the hand towel by knitting 1×1 rib every other line. The pattern feels really nice when you use it. After weeks of knitting on and off I have finally finished knitting a pair of ragg socks for myself. 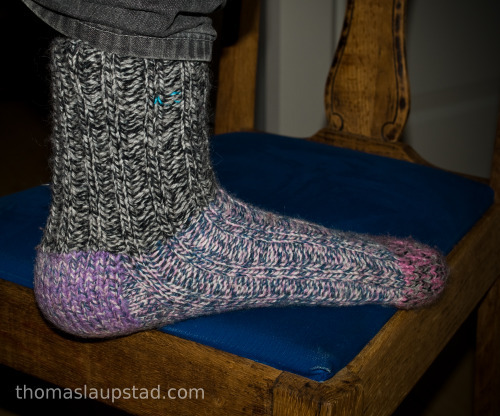 I wrote about how the first sock turned out to be too small for me and that I wanted to knit them for my friend, but after thinking about how cold me feet were I decided to open up the toe and knit the ragg socks larger. The socks still turned to be a bit too small, but with some wear they will get bigger and I have to wash them carefully for them not to shrink. One of my friends decided that she needed a new scarf so she started knitting a multi colored one out of some leftover yarn. It looks a bit “crazy” (or hippie), but I like it and I bet it is very warm. We have been having frost in the nights here so it is time to take out all those warm wool clothes that we need in the winter season here in Norway.